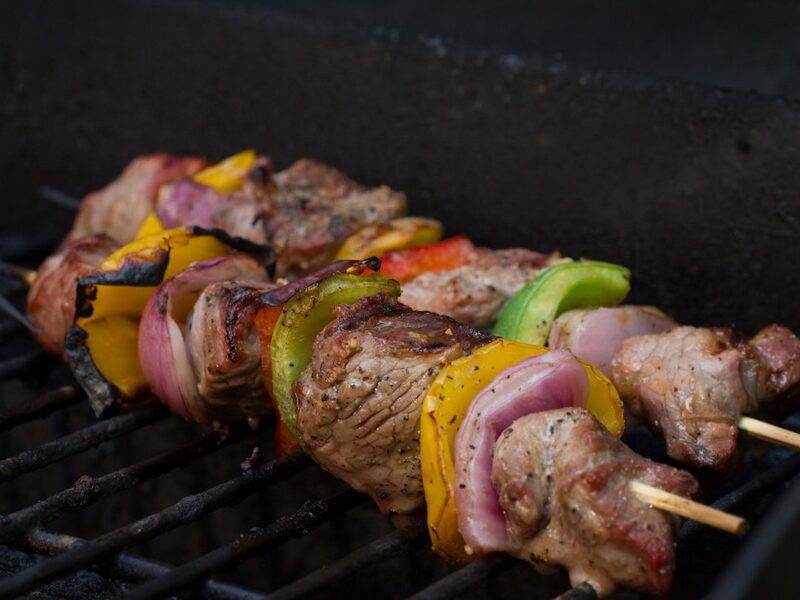 US Wellness Meats is committed to providing the best quality, nutrient rich product available. That commitment begins in the soil and ends in your tummy! There’s a lot that goes on in between. When you order a package of sustainably raised foods from US Wellness Meats, you should know that it has been handled and packaged with care. Sure we experience errors because we’re human, but we take measures to limit those errors so that the package you receive is the package you order. By continuing to hand pick and package orders, we’re able to serve the community by being one of the largest employers in the area, meet detailed requests and serve all of our customers at a personal level…and we do it with a smile! We have a state of the art facility right in the heart of the midwest. It’s literally just a few miles away from one of our founding farms where we continue to raise grass-fed, grass-finished cattle. The packaging facility is where our pick and pack crew works. They are a valued, hard-working group who take pride in the job they do every day. The packaging room is refrigerated at approximately 40 degrees (F) while the product is in a massive sub-zero (-10° F) freezer. 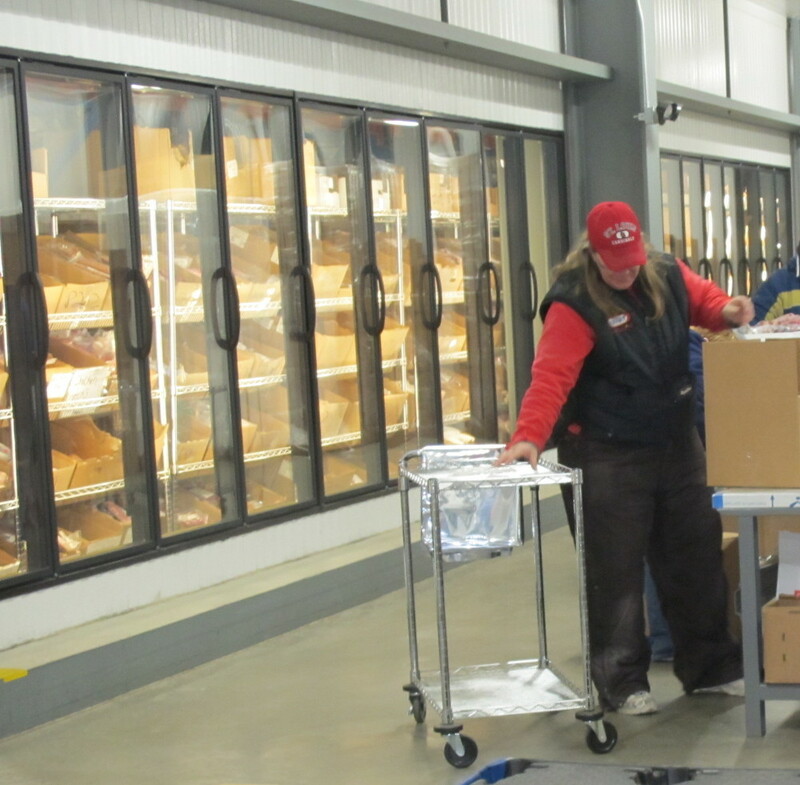 Team members work in 40 degree temperatures while picking out of the freezer much like you would in the grocery store frozen goods aisle. We have a video monitoring system set up in the packaging facility that allows us to make sure your order is correct. If you order four (4) packages of ground beef, you will receive four (4) packages of ground beef. This allows us to work more efficiently and minimize errors in order fulfillment which ultimately saves us money, helps us keep prices lower for you, and gives our team the ability to double-check your shipment contents once the container is sealed if necessary. We’re constantly working to improve our online store so our customers have a convenient and easy to use shopping experience. Orders are packaged & shipped Monday – Wednesday (10 am Central) every week. Once you’ve ordered, you’ll receive a confirmation email. Your order is then assembled and packaged in an insulated styrofoam cooler with ice packs or dry ice depending on your location. When your package is sealed, labeled and acknowledged by our shipping partner, you’ll receive an email with your tracking number. All perishable packages are shipped with delivery scheduled in 24-48 hours. Non-perishable orders will be shipped to deliver within 5-7 business days. If you ever have any difficulties with your package, you’ll never be at a loss. Call us with your order number and our customer service team will make sure you’re happy with your shopping experience, shipping and delivery, and of course, assist you with questions or concerns relative to any of our products. There are multiple ways to shop online today: smart phones, tablets, destops, etc., but if online ordering has you frustrated, give us a call: Toll Free 877.383.0051 and we can place your order over the phone and answer any questions you may have.